L&T was the top gainer among S&P BSE Sensex and Nifty 50 index at 11:13 am. 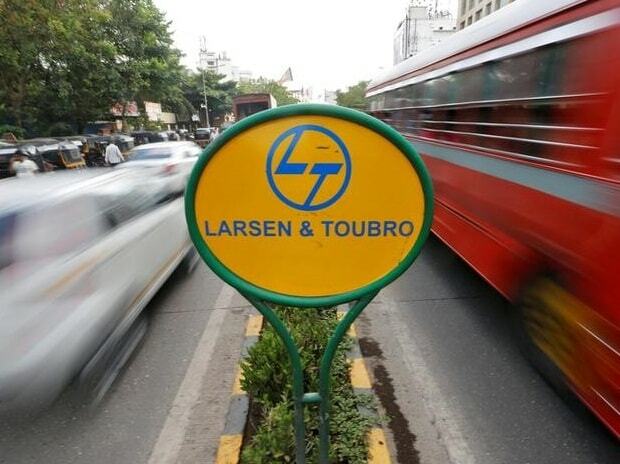 Shares of Larsen & Toubro (L&T) were trading 3 per cent higher at Rs 1,355 apiece on the BSE on Thursday. In the past three days, the company has secured multiple orders including a large contract from Bangalore Metro Rail Corporation and construction of campus development of IIT Hyderabad. At 11:13 am, L&T was the top gainer among S&P BSE Sensex and Nifty 50. In comparison, the benchmark indices were trading flat on the BSE and NSE. L&T today said the building and factories business of its construction arm has secured a prestigious order for the construction of campus development of IIT Hyderabad Package 3A at Kandi, Telangana. The company’s metallurgical and material handling business has secured an order from BHEL for Ash Handling Plant (AHP) to be installed at NTPC, Patratu Thermal Power Plant (3x660 MW) located in Jharkhand. While L&T GeoStructure business has secured an order from CMRL for the Central Square underground space development. L&T on Wednesday said the heavy civil infrastructure business of its construction arm has bagged "large" contracts from Bangalore Metro Rail Corporation. The engineering and construction company, however, did not provide the exact value of the contract; but as per its project classification, the value of the contracts was in "large" category which is in the range of Rs 2,500 to Rs 5,000 crore. The water and effluent treatment business of L&T’s construction vertical on Tuesday has secured several orders from government agencies and municipal corporations across three states in India. The company has classified the order inflow as “major” which, is in the range from Rs 5,000 crore to Rs 7,000 crore. Thus far in the calendar year 2019, L&T has underperformed the market by falling 9 per cent, as compared to 1.6 per cent rise in the S&P BSE Sensex till Wednesday. Meanwhile, analysts at JP Morgan have ‘overweight’ rating on L&T with 12-month target price of Rs 1,635 per share. “Strong near-term order inflow performance, better-than-expected order/revenue growth guidance, management focus on RoE improvement afford a good entry point into the stock trading at 18x 1-year forward EPS (post GFC mean 1-year forward P/E is around 22x). From a two-year investment horizon, we believe that L&T offers a focus on a potential recovery in the private investment cycle too,” the brokerage firm said in January 29 report.